Over the last 20 years we have developed a coaching system that delivers hard results and has been endorsed by Oklahoma State Hall Of Fame Basketball Coach Legend, Coach Eddie Sutton. It is also been recognized by NBA scouts, athletes from all over the country and NBA superstar Shea Seals of the LA Lakers. 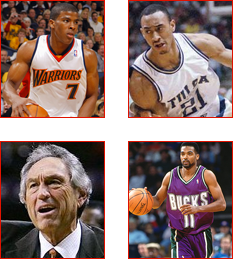 Professional basketball players and college basketball players come from all over the country to be trained by Coach Don Calvert. His system, his methods and his 15 year career is widely recognized among players. Call today at 918 – 955 – 7160. Here we teach you the drills and the skills that you need to achieve your maximum potential as a basketball player. Our system was developed by Coach Don Calvert who is an award-winning basketball coach and teacher. He has seen basketball championship victories and he was personally taught by Coach IBA and Coach Bliss. His award-winning methods have brought players to a whole new level of training, playing and achieving their basketball dreams. 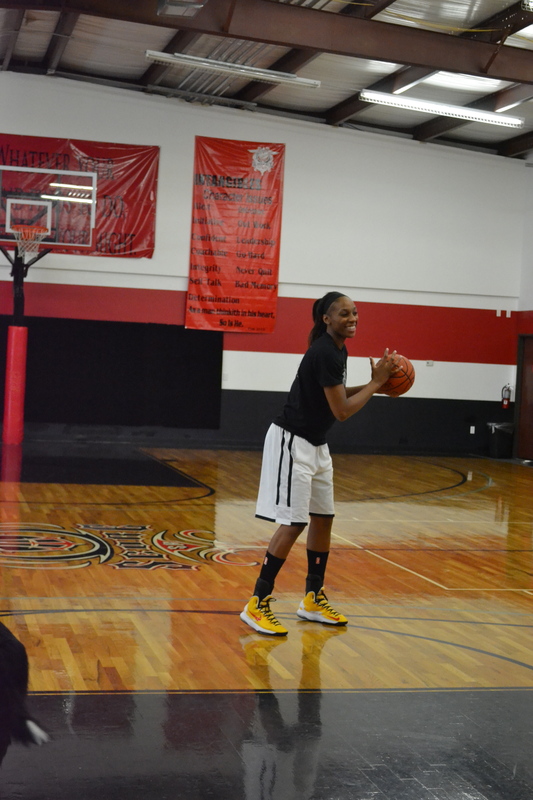 You won’t be disappointed in the results that you achieve by choosing Score Basketball and the official private basketball lesson Coach of choice for Tulsa Shock member Glory Johnson. Are you ready to take your game to the next level? How about physically? How about mentally? Here at Score Basketball we develop both areas and make them equally as strong. It’s important for a player to shoot, dribble and run across the court but it’s also important for them to handle the stress and the anxiety that comes in the middle of the game. We can broaden your mental capacity to handle any type of stress whether it’s high or mediocre. We want to prepare you and have you ready no matter what type of game you’re playing in whether it’s college or professional basketball. The most important thing for a coach to do for players to be honest about this their shortcomings. We praise you for your strengths and for your success but we always addressed your weaknesses. Our goal is to help you become a well-rounded player and achieve greatness by not only being good at one particular thing. If you’re an excellent shooter than perhaps will work on your passing or your blocking. Whatever it is we can help you get better and we have the system that has been proven over the last two decades. So come in and learn from the official private basketball lesson coach of choice for Tulsa Shock member Glory Johnson. Call today to find out how we can help you get better and take your game to the next level. We never yell or curse at you but we do point out the things that need work. Read our story, our mission and why our performance is guaranteed. Sign-up now or contact us today. For over two decades we’ve been improving and coaching players to reach their maximum potential through a system that has been developed by basketball coach, Coach Don Calvert. This is the same Coach Calvert who was trained and coached by Coach Bliss who was coached by Hall Of Fame Coach Bob Knight. Coach Calvert has developed a system that is been endorsed by Oklahoma State Hall Of Fame Basketball Coach, Coach Eddie Sutton, NBA basketball scouts and athletes from all over the country. If you are willing to work hard and learn from your mistakes than come see us here at Score Basketball. Call us today at 918 – 955 – 7160. Take it to the next level through a series of lessons and quality coaching experiences that you can only find here at Score Basketball. For over two decades we have trained and seen countless basketball players go on to play professional ball and achieve University scholarships to top-quality schools including Missouri State, Oklahoma State University, Indiana State, Kentucky, Arizona and well over 100 other schools throughout the nation. The skills and the drills that we teach you will stick with you your entire life. We teach you not only to improve yourself physically but mentally as well. So much of the basketball game is mental and understanding how to deal with stress is important. By maximizing your potential not only physically but mentally we can produce a well-rounded player who is ready for anything. This is what you will learn from the official private basketball lesson coach of choice for Tulsa Shock member Glory Johnson. We focus on helping to develop great people and incredible basketball players. Our methods go far beyond the basketball court and will teach you to be the player that you’ve always wanted to be. We improve your weaknesses. We always encourage and praise you for your successes but we do not let it stop there. We believe that if you truly want to be the best that you can be you’ll improve your weaknesses and become a well-rounded player by listening and working hard to do so. This is why we strive to prepare players for both the tough mental and physical aspects of the game. These methods is what’s changing the lives and the way the players approach the game of basketball in Oklahoma and around the country. Call us today or visit us online to find out more information about Score Basketball. We have a coaching packages that are designed to meet all of your athletic needs and we provide private basketball lessons, group basketball lessons and double lessons. Whatever you need to take your game to the next level we have it right here at Score Basketball. Call today and find out if we are a good choice and fit for you.